The Vancouver Island Lodge is located on a tranquil private acreage with an exceptional beachfront. Guests will enjoy the warm weather and stunning ocean views from the large patio surrounding the lodge, and in the evening can relax in the hot tub overlooking the water. The weather is beautiful, and the seas are calm all year. 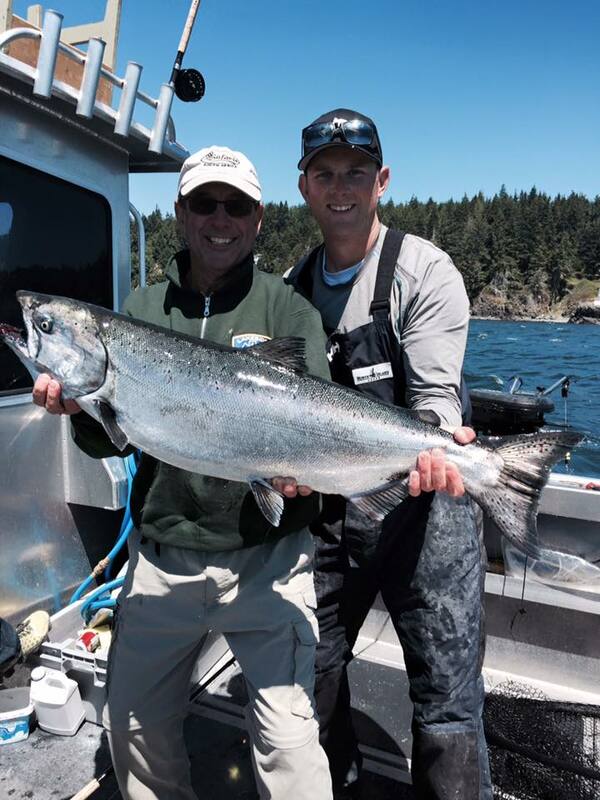 Our professional guides will help you catch your limit of Salmon and Halibut from the Juan de Fuca Strait. At Vancouver Island Lodge, we only use the best boats, gear, reels and tackle for the best experience on the water. Great food is a key part of the Vancouver Island Lodge experience. Our guests have a variety of dining options when they stay at the Lodge. Each package includes wholesome and delicious west coast inspired meals catered by the amazing Stickleback West Coast Eatery. A true west coast lodge in a beautiful ocean front location. Located just 30 minutes from Victoria International Airport, Vancouver Island Lodge is located on a tranquil private acreage with an exceptional beachfront. From whale watching to hiking, there is so much to see and explore around Vancouver Island Lodge. Sooke’s popularity as a scenic tourist destination has existed for generations. The area’s popularity has increased as a base for visiting the wilderness parks of Vancouver Island’s southwest coast — the West Coast Trail and the Juan de Fuca Provincial Park which includes the now highly popular Juan de Fuca Marine Trail. Fun guides. Great weather. Even better Fishing. We just finished 3 days of fishing with Ryan at Vancouver Island Lodge. Caught enough salmon to feed a small town through a long winter. The boats, gear and the lodge were top notch. If you're looking for a place to go fishing, this is it! If you are looking for an exceptional fishing experience Ryan is the man you need to be in contact with!! Service from the airport to the boat with the best boats and gear is just a start! Not to mention a breath taking view to relax off the water! You couldn't ask for a more friendly guide and overall experience!